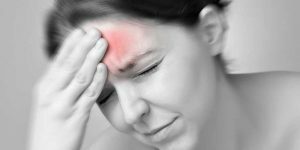 Researchers at the Clinical Hospital of the Second University of Naples were able to photograph the headaches and distinguish migraine with aura migraines without aura. A result as surprising as to have earned the cover Cephalalgia, the international scientific journal specializing in migraine disease. The hyperactivity of neurons is stored in the brains of patients. What are the results of research? Alessandro Tessitore, coordinator of the Neapolitan University research team, says that the ability to detect the imprint left by the aura of migraine is a benefit to all patients affected by this disorder. Thanks to magnetic resonance imaging, in fact, you can quickly recognize migraine with or without aura, migraine without aura over that, and define the most suitable therapy to the person. So far, migraine sufferers turned to various medical specialists to find a cause and a cure for their discomfort, at great expense of time and money.